« “Immigration” vs “Migration” – confusion? Dear Friends for Life: A worldwide strategy ignites additional war on unborn babies. It’s called “Prenatal Testing”. The movement this time is not against healthy babies, but against babies with abnormalities in the womb. In Japan, since more women are delaying pregnancy, medical institutions will soon be allowed to conduct prenatal testing for Down syndrome. This bioethical testing debate has been going on for over 5 years since it was first introduced. The main reason is that over 90% of women having fetus abnormalities make a decision for abortion. I refer to fetal testing as a “new weapon” which selects and annihilates a certain class of human beings. The selection can be an unborn child with an abnormality, disability, or male or female. This eugenic attitude is expanding and, sad to say, children with disabilities are its first target. For example in Denmark, only 2 percent of unborn babies diagnosed with Down syndrome are born; the rest are aborted. In Iceland, it’s 100 percent, France 77, United Kingdom 90, and the United States is estimated around 67 percent. This deadly discrimination is a growing epidemic in countries across the world. Yet little concern is shown by the ordinary person. Surprisingly, if we can believe the mass media, large segments of the world population embrace this testing and laws are being drawn up to support it. 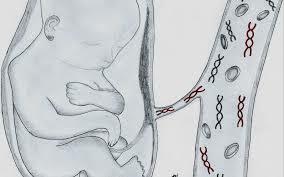 Prenatal testing can detect Down syndrome and other disabilities. This in itself can be a good for the parents and child. We see surgery taking place within the womb, for example, heart surgery. In 2016, a baby was removed from the womb for surgery to remove a tumor and then gently returned to the womb. The baby was 23 weeks and 5 days old. On the other side of the picture, prenatal testing can be used to commit evil, for example to abort human life. The slippery slope shows another side of its many faces. In Japan, this will become a big business not only for certified medical institutions but also for uncertified medical institutions, who have already started providing the test. Certified facilities are limited to screening women over 35. 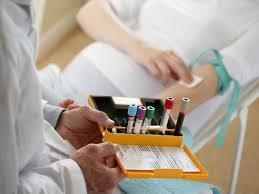 Briefly what is prenatal testing? 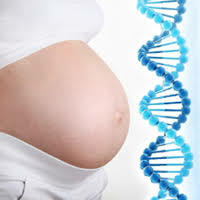 The Japan Times explains that screening is conducted by taking the mother’s blood at an early stage of pregnancy – after 10 weeks – and analyzing the fetal DNA fragments within to determine whether trisomy 21 (Down syndrome), trisomy 18 (Edwards syndrome) or trisomy 13 (Patau syndrome) are present. This notion of eugenics is not new. In 1883, Sir Francis Galton, a respected British scholar and cousin of Charles Darwin, first used the term eugenics, meaning “well – born.” Galton believed that the human race could help direct its future by selectively breeding individuals who have “desired” traits. Prenatal testing could well end up promoting a modern concept of eugenics. On average, 1 in 1,000 babies are born with Down syndrome. The possibility of a 25 – year – old mother giving birth to a baby with Down syndrome is said to be 1 in 1,041. For a 40 – year – old mother, the possibility notably increases to 1 in 87. 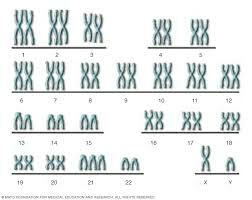 Research shows that the older the mother, the more likely she will give birth to a baby with trisomy 21. This thinking weakens the respect that is due to every human being, and especially those unborn children with a defect or a genetic illness, whose life is judged as not worth living and consequently aborted. 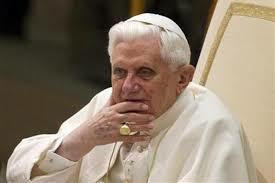 And in order to communicate the absolute value of the human person, the pontiff quoted the thinker and scientist Blaise Pascal: “Man is a reed, the weakest thing in nature, but he is a thinking reed. The whole universe does not need to take up arms to crush him; a vapor, a drop of water, is enough to kill him. But if the universe were to crush him, man would still be nobler than what killed him, because he knows he is dying and the advantage the universe has over him. The universe knows nothing of this” (Pensées, 347).